Verulam Athletic Club will host its 18th annual Gaterite Charity Run comprising distances of 2km and 4km on Sunday, 7 April at the Verulam Recreation Grounds. This annual event brings in well needed funds to interested schools, welfare organisations and NGO’s. The concept was Verulam Athletic Club’s response towards social community responsibility and is in keeping with the Department of Education’s goal of My Life, My Future in its quest to promote a healthy lifestyle, whilst at the same time taking away the huge burden of organisational expenditure from schools and organisations. “The event has both 2km and 4km distances for the not so fit as well as casual or social walkers,” said Brenda Peters, co-organiser for the event. Many parents and grandparents have taken this annual pilgrimage walking with pride alongside their children and grandchildren. The event reverts to its Sunday slot at 8:30am. Entry forms to participate are also available at participating schools or the public may enter on race day. Race day entries are R10 per person with all participants receiving medals and light refreshments. “Local companies and interested groups are urged to choose an organisation and fundraise for them or participate as a team building initiative with either a 2km or 4km walk/run. Proceeds can be negotiated for a nominated cause. “There is no restriction on fundraising for any welfare organisation or worthy cause. 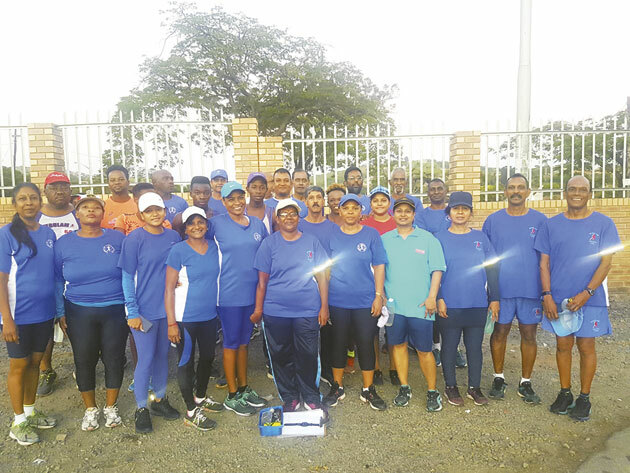 Verulam Athletic Club also invited organisations to partner with VAC and Gaterite to promote their fundraising initiatives in this event or healthy lifestyle,” added Naicker. Interested persons can contact the race director, Anand Naicker on 083 783 6363.